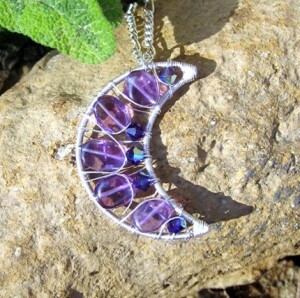 MoonLit Creations is a designer of beautiful hand-made jewelry in the spirit of the natural world. While these stunning pieces would make a great gift for anyone, they are inspired by Pagan, Wiccan and Mystical traditions and concepts. 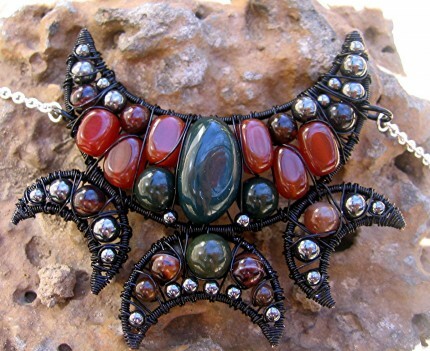 Expert craftsmanship, gorgeous stones and precise and ornate wire-work go into every piece. 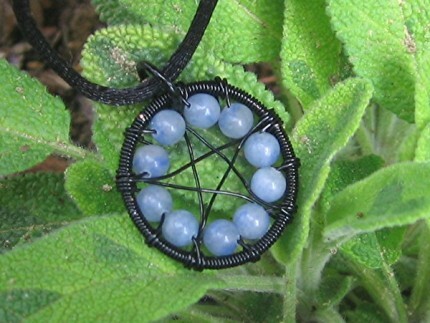 Bless yourself or a loved one, with an entirely unique, hand-made work of art that will help awaken the natural awareness within.